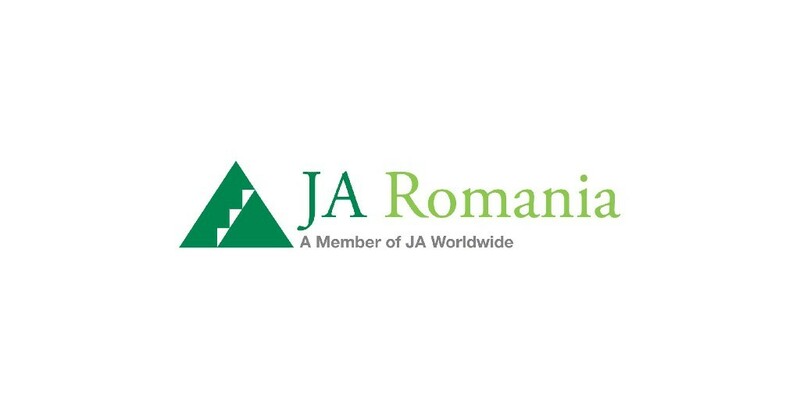 Junior Achievement Romania (JAR), member of Junior Achievement Worldwide and Junior Achievement Europe, is the largest and the most dynamic organization of entrepreneurial, financial education, and professional guidance in Romania. JAR implements international programs for free, capitalizing formal education, offering real business environment experiences, every year for over 4,000 teachers and 200,000 students of all levels, from primary school to university. As part of Junior Achievement Worldwide, JA Romania delivers in Romania educational programs under the slogan “Invest in education”. Its mission is to serve schools through a partnership between business and education and to provide free materials, trainings to participating schools. Through JA Romania programs delivered in class, young people experience different social roles and practice skills and attitudes required in the real market economy. These practical modules (Applied Economics, Entrepreneurship, Financial Education, Skills for Employability, Ethics and responsibility) complement the national core curriculum in schools and provide the framework for a strong connection between education and life, intended to assure the success of young people in their career and life. Established in Romania in 1993 as a not for profit organization, Junior Achievement Romania (JAR) started in 1997 to implement programs for students in pre-university schools, K-12. JA programs are implemented in Romanian schools in accordance with a partnership signed between JAR and Ministry of National Education since 2003.
a) content development for educational modules and programs/projects, as part of the national curricula and extracurricular. i) has educational partnerships with over 200 national and international institutions and organizations and has its own publishing house. In 2016-2017 school year, over 250,000 students from 3,300 schools participate in JAR activities. The good reputation and performance of JA Romania is certified by several awards and strong business and institutional partners. Institutions Partners: The Ministry of National Education, Bucharest Municipality, DG Education and Culture, DG Enterprise and Industry, Charities Aid Foundation, Kauffman Foundation, MetLife Foundation, Romanian-American Foundation, UNDP, UNESCO, USAID. Private Sector Multiannual Partners: Accenture, Amway, AstraZeneca, BRD, Bursa de Valori Bucureşti, Citigroup, Deloitte, Dentons, DuPont Pioneer, Enterprise Investors, Ernst&Young, Exxon Mobil, General Electric, Hewlett-Packard, IBM, Intel, Johnson&Johnson, Lowe&Partners, Microsoft, Oracle, Petrom, PriceWaterhouseCooper, Raiffeisen Bank, Saatchi&Saatchi, SAP, Saff, Samsung, Telekom, TMF, Ubisoft, VISA, Vodafone. JAR has also relevant experience in the management of funds for projects in education, including transnational and national projects with multiple partners, both as a partner, and as an applicant. The project portfolio includes both European projects from grants (external sources, European Union, Erasmus+, EEA Norway Grants, or from the state budget), and projects carried out in partnership with the business community. During the past several years, the link between school training and skills needed to integrate into the labor market has become an essential problem for Romanian young people. Traditional teaching and the overloaded contents of the curriculum stop teachers from providing classes with learning by doing experiences and students from design a secure and feasible plan for their future. Taking this into consideration, JA Romania stands for in-class educational programs meant to insure personal success of young people through financial inclusion, earning and financial independence. In these conditions, it is essential for young people to understand since early education to discover and improve their own abilities and strengths developing competencies, design future directly connected to real world.